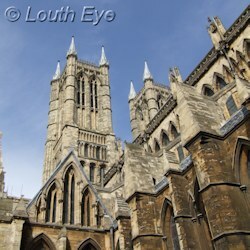 Construction began on the first Lincoln Cathedral in 1072 and was completed 20 years later. 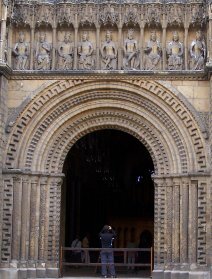 This Norman cathedral was smaller than the current one, and you can see remains of its three ornate arches in the entrance to the West Front. 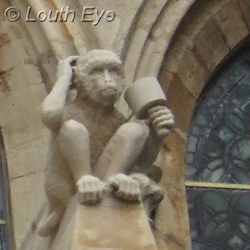 In about 1140 the cathedral was damaged by fire, and in 1185 it was struck by an earthquake. 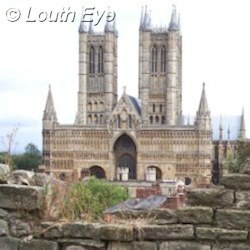 Restoration began in 1192 under the direction of St Hugh, the Bishop of Lincoln. 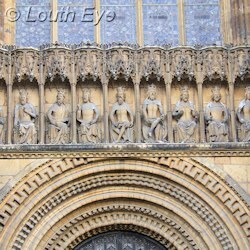 It was the setting for the filming of The Da Vinci Code in 2005, directed by Ron Howard. 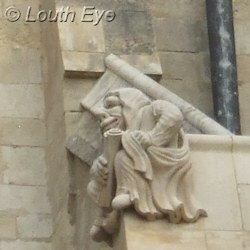 Pictured on the right is the door on the West Front, and below is the detail of the carvings above the entrance. 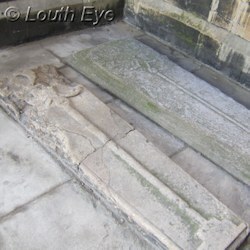 Inside you will find the tomb of Katherine Swynford, and the cathedral is the resting place of many other notables. 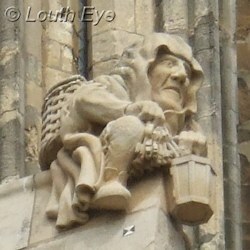 Look out for the Lincoln Imp, as well as St Hugh's Shrine.